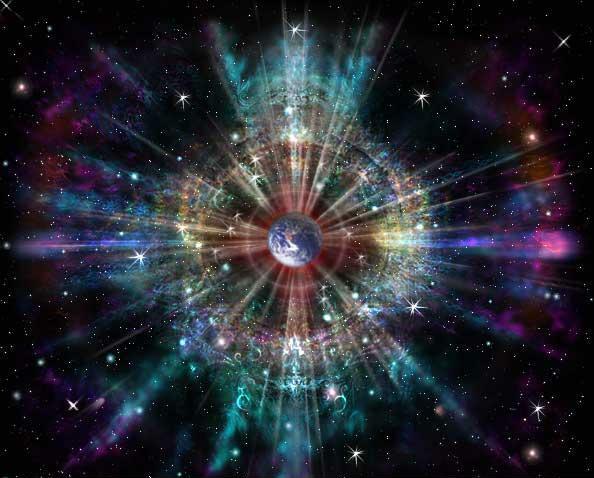 One subject that has been brought forth to me is the subject of "The Energy of everything". This is a subject that has taken on much scrutiny because of the paranormal implications it suggests. When we talk about the energy of everything, were talking about the energy that everything emits. 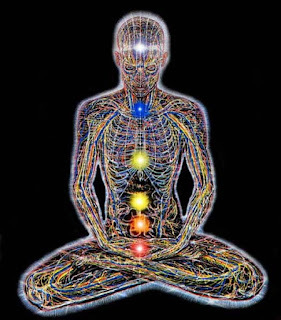 We as humans emit energy beyond our skin that surrounds us at all times, this bio-energy field is called our aura. As it turns out, we're not the only thing that emit auras, everything throughout the universe emits some type of aura or energy field. 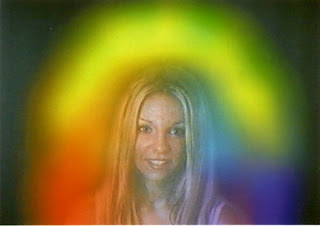 This aura is a frequency and can be manipulated, like how your mood can change and be manipulated through thought. Almost like changing the radio station where every frequency is a completely different station. For example, if you're in a bad mood the frequency you emit is going to be very different then if you were in a good mood, and therefore your aura changes. Make sense? 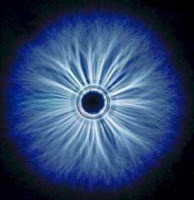 In 1938 a man named Semyon Kirlian accidentally discovered that if an object sitting on a photographic plate that is connected to a source of high voltage, small corona discharges are created by the strong electric field at the edges of the object, then imprint an image on the photographic plate. This was the start of "electrography", "electrophotography", and "corona discharge photography". The Kirlian technique is contact photography, in which the subject is in direct contact with a film placed upon a metal plate charged with high voltage, high frequency electricity. The magnitude of the excited charge is then adjusted to induce an avalanche effect in the gas surrounding the object. The avalanche effect amplifies to the response of the object so that it can be observed as a visible glow. Still following me? Much like when you knock on a wall you can tell where the 2x4s are, the visible electro-photonic glow contains information about the object that was excited and emits the glow. This technique has been criticized because it does not work in a vacuum, but because the avalanche effect can only occur in ionized gas, there is no point to doing this experiment in a vacuum anyway. As for it capturing a person's aura, this technique only gets us about half way there. The one thing that was found by scientists, was the Kirlian glow around human fingertips seem to contain information about relative bio-energetic health of various organs. 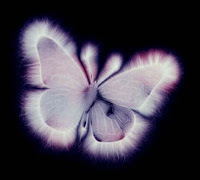 By analyzing the stimulated and recorded Kirlian images, it's possible to tell a person's state of well-being, their emotions and can determine the bio-energetic performance of the mind and body. There are also two other methods that claim to capture the aura in a photograph. One is infrared photography, but sense infrared is based on capturing heat. I don't see how it could be very accurate. The second is with the AuraCam 6000 that was developed in 1992 by an electrical engineer named Guy Coggins. To take an AuraCam picture, the subject sits and rests his or her hands on the leads of a galvanometer, (the same type of device that Scientologists call an E-meter). The AuraCam takes a conventional photograph of the person which is loaded into a computer. The computer software then synthesizes an image of colors based on the galvanometer measurement then superimposes it onto the person. The colors are determined by corresponding electrical frequencies which are based from the writings of Dr. Max Luscher, correlating personality with color preferences. 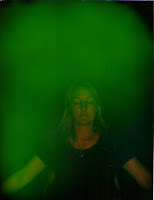 "Our technologies produce an electronic interpretation of what we believe the aura would look like. It does not photograph the actual aura. There's nothing that exists which can do this." 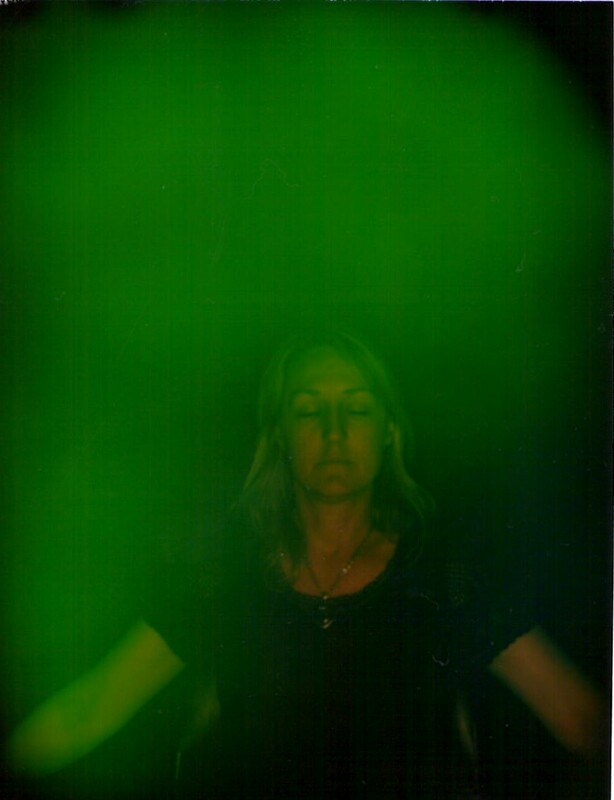 Wait a sec, there's nothing on earth that can take a picture of an aura? 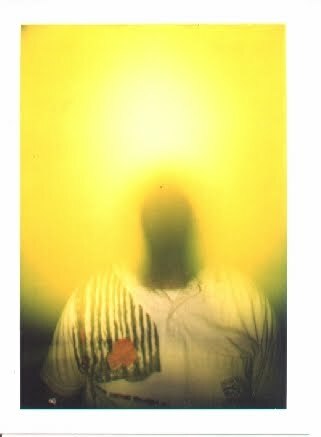 So is aura photography just another money making sham? This is the big controversy. 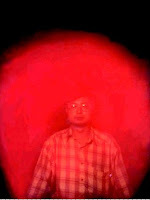 First: I believe, and some may disagree, that a person's energy field is in direct coloration with their aura. It makes complete sense. 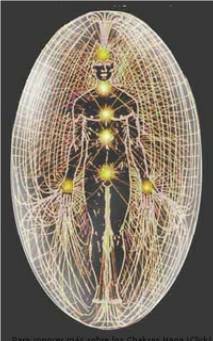 Think about it, your energy field is the frequency your physical body vibrates at. Your brain dictates the frequency your physical body emits, therefore creating different auras. Second: All of the nerves in the body connect to the soles of your feet and the palms of your hands. Knowing this leads me to believe that a device could be made that would very well read your energy field through your hands alone. This would give the AuraCam 6000 some validity. 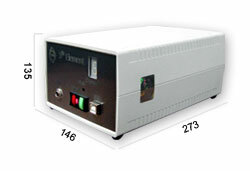 Lets take a look at the Electophotonics (EPC)/Gas Discharge Visualization (GDV) camera. The GDV diagnostic system invented by Dr.Konstantin Korotkov is based on stimulating and recording the electro-photonic glow around all ten fingertips one at a time. He uses the fingertips because of earlier observations found by the Kirlian technique. 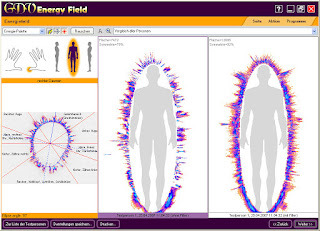 Using clinically verified charts and methods developed by Dr. Korotkov it seems possible to determine not only what happens in the human body, but also where it happens by examining specific sections of the electro-photonic glow. Delving into the study of consciousness, including altered states and along with forensic applications, even death. This technology is literally changing how we view the world. Here is the description of the "GDV Fifth Element" attachment. "The 'GDV Fifth Element' attachment is used to estimate the state of the environment by measuring basic nature components. 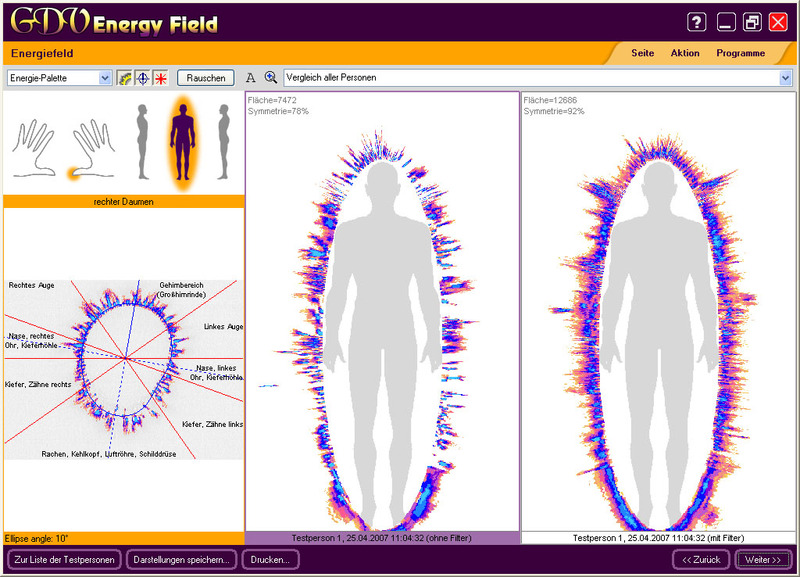 The device makes it possible to detect, e. g. geopathic zones and to find places most suitable for spiritual practices. It can also be used to determine favorable zones for sleep, work and leisure in living quarters. Besides it enables to estimate the geographic position of sacred places from a new viewpoint during the expeditions for historical and regional studies." Are you kidding??? I find this to be absolutely incredible. But wait, there's more. 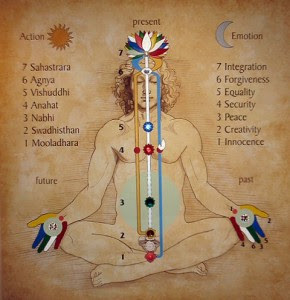 This technology can also read your Chakras. 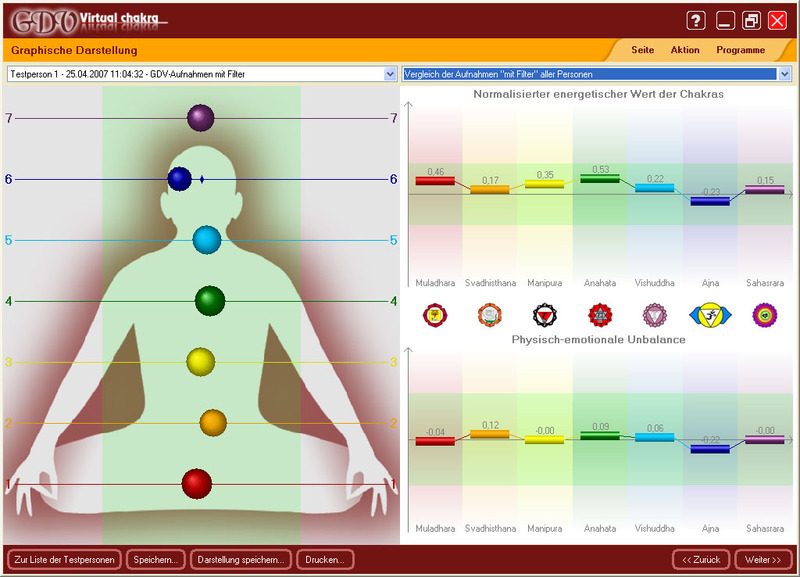 Calculation of EPC/GDV-chakra readings are based on the idea that the chakras are directly connected to specific points on your palms and fingers which correspond to all central central body parts and bodily functions. The Sahasrara Chakra - the upper part of the fourth finger corresponding to the cerebral cortex, the entire nervous system. Bio-electrography has the potential to serve as an extremely powerful medical diagnostics tool, capable of showing malfunctions of the body and mind long before any physical symptoms become evident. By utilizing the potential of bio-electrography it should be possible to take preventive measures before emergency treatments and surgery are needed. In all reality, you really don't need any type of special equipment to know energy fields exists. Try this experiment. Get four or more people together and have one person be the subject. That subject puts on a blindfold and earplugs then stands on one side of the room while keeping their mind as quiet as possible, breathing natural and easy. Everyone else should be on the other side of the room at least ten feet away. 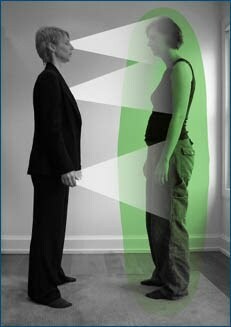 Have one person come face to face with the subject for about 30 seconds then walk around the subject a few times very slowly as close as you can get without touching. As each person walks around the subject the person who's walking should have either a clear mind or a specific word attached with an emotion repeating in their head such as "Hate", "Love", "Scared", "Excited", "Depressed", "Happy" ect. The subject should be able to psychically feel the bio-energy of the other person as they walk around them. Once everyone has had a chance to interact with the subject, have him or her take off the blindfold and earplugs and describe what they felt. I'm not saying the subject is going to feel the same word of emotion the other person was thinking, this is just an experiment to feel the different variations of bio-energy fields that humans emit and how they can be manipulated. If you are able to recognize the emotions, your mind has an incredible amount of psychic energy. Hold your hands out in front of you like your going to put your palms together but keep them about an inch or two apart. Now very slightly move your hands in opposite directions, up, down, in, out, and you should start to feel a slight magnetic resistance. You are feeling the electromagnetic energy your body emits. We as humans are capable of anything and everything beyond our imagination. This is a window into who we are as a species and what life really is. I foresee in a not to far off future, the understanding of consciousness is going to radically change and we will within ourselves become more conscious. This is why we all must attain our attainable minds.